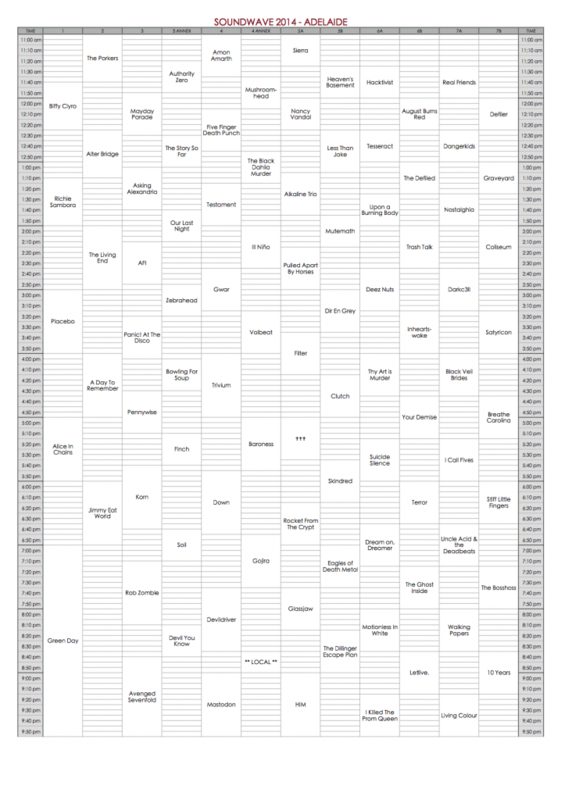 The Soundwave 2014 timetables have been released, and as always the flyers aren’t printed in a format that easy to see any clashes. Like previous years, I’ve reformatted them into handy little planners that you can print off and highlight and see exactly who is playing at the same time. Below is an excel spreadsheet, and a ready made 2 page PDF file, so you can print it off double sided and have a map handy on the back of the timetable.